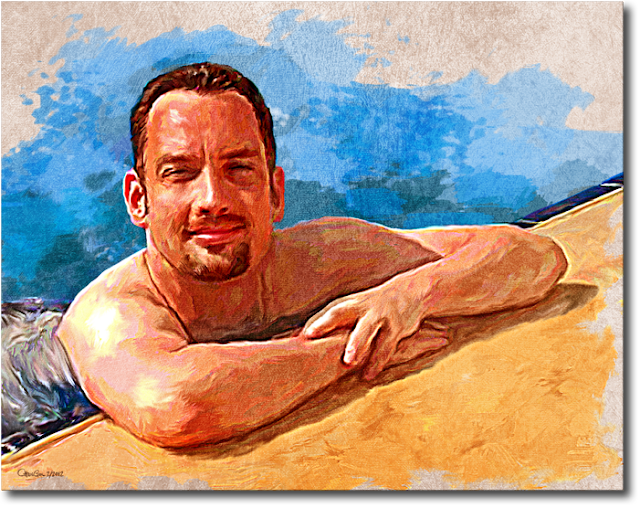 I'm happy to announce that my digital portrait and painting services are no longer limited to soft copies. 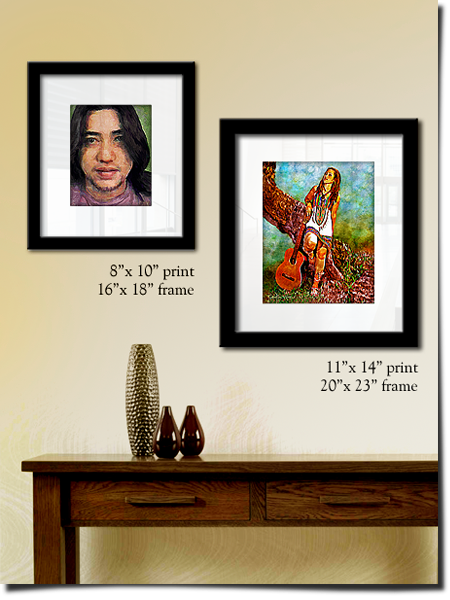 You can have your portraits printed on special paper and framed, or have it printed on canvas to make it look more like a real painting! 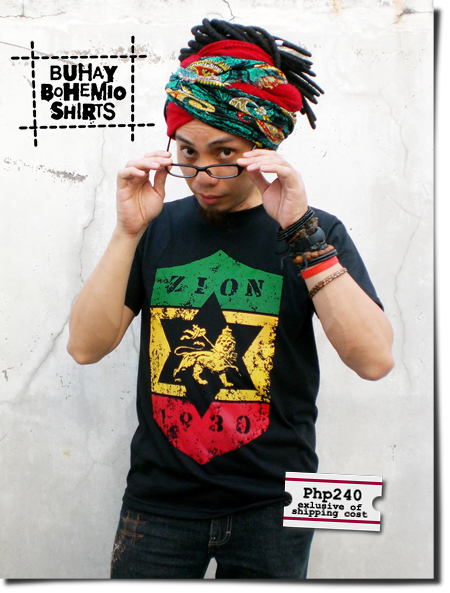 Now this shirt is dedicated to my Rastafari brothers and sisters as well as fans of reggae music. Rastafari is not a religion but a religious movement that arose in Jamaica. 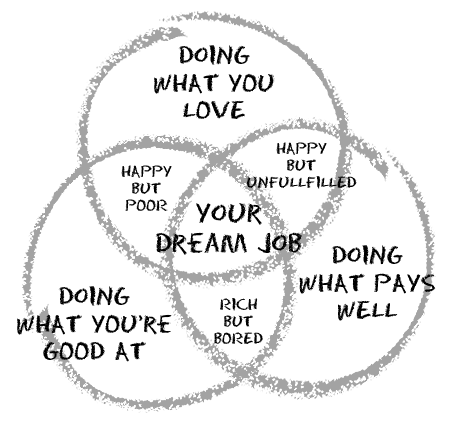 "Zion" stands for a utopian place of unity, peace and freedom. The Rastafari believe that Zion is to be found in Africa, specifically in Ethiopia. Year 1930 is a special to them. It is the year Haile Selassie I, the descendant of Menelik I (son of King Solomon and the Queen of Sheba), became Emperor of Ethiopia. Green, yellow (gold) and red are colors of the Rastafari Movement. The Lion of Judah is the symbol of the Israelite tribe of Judah. To the Rastafari it represents Emperor Haile Selassie I. 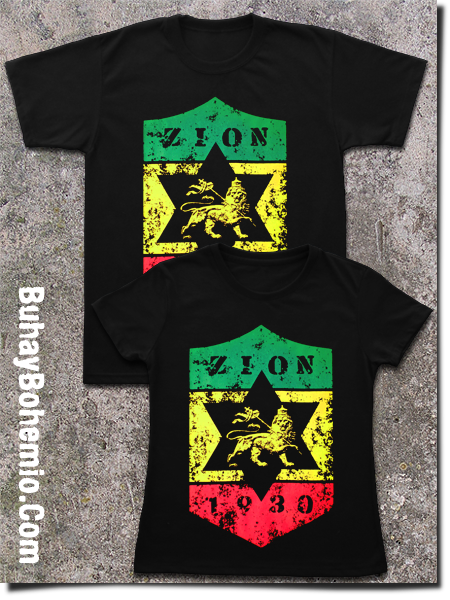 If you want your own Zion 1930 shirt, click here. Jah Bless! Though I'm no Buddhist, I'm a fan of Buddhist art. 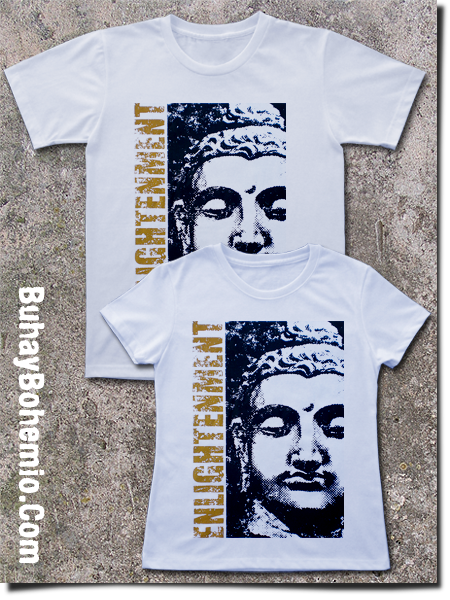 A Buddha head relic from the kingdom of Gandhara is the inspiration for this shirt. The ancient kingdom of Gandhara (1st millennium BC to the 11th century AD) is located in northern Pakistan and eastern Afghanistan. That's why this Buddha bust looks Hindu-Arabic instead of East Asian. This is my first try in printing a face with a halftone pattern. 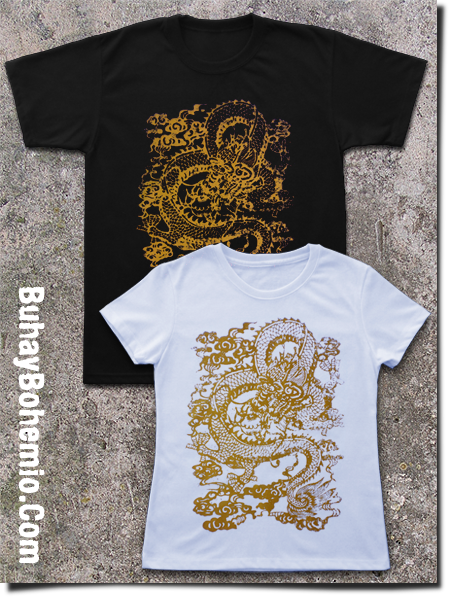 The print is of metallic gold and black inks. 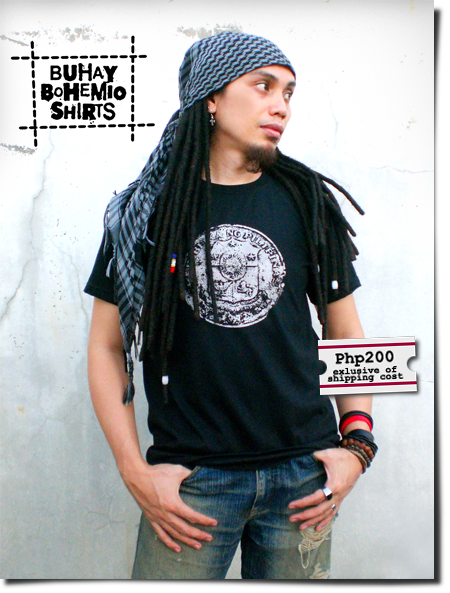 This shirt is only PhP220 each. Want one? Click here. This is a shirt I've produced as an experiment last year. (Here's the old post). I wanted to see how many shirts I can sell to a selected market. It's more like testing my marketing skills. 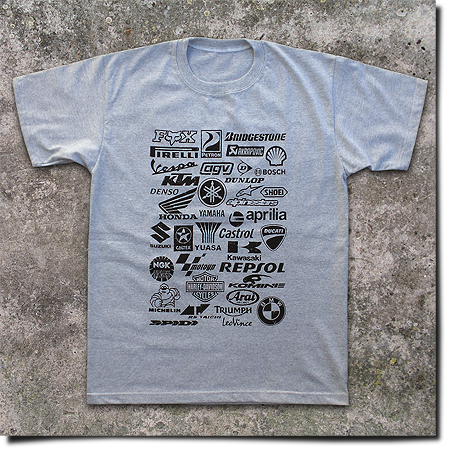 I've sold a good number of shirts, mainly to motorcycle-riding friends. One happens to own a motorcycle shop so he bought 15 pieces. Some of my friends even bought more than one for themselves. Others even bought shirts for their wives and kids. What supportive friends I have! hehe. Thanks guys! So now I'm left with a few pieces and I'm selling them at marked down price. Only large sizes are available (L, XL, 2XL) and they are only in cashmere gray. Are you a biker? You might want one. Click here. I was supposed to release this design in time for the Chinese New Year but I was delayed. Well the rest of 2012 is under the Dragon Year anyway. Jianzhi, by the way, is the Chinese art of paper cutting. I merged different jianzhi dragon designs for this print. Finally I'm gonna start selling my own line of t-shirts. Designed, printed, modeled and marketed by yours truly heehee. 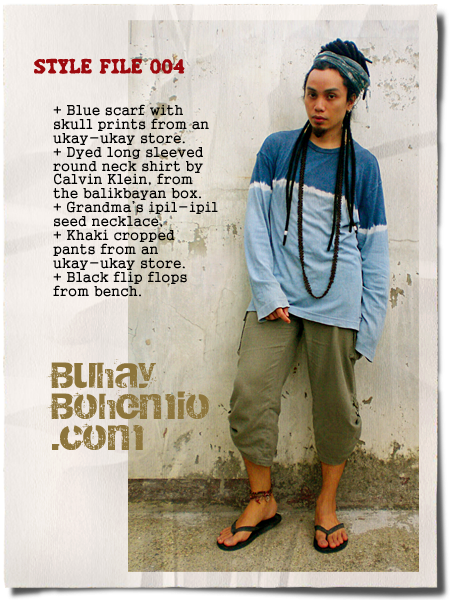 Presenting the first Buhay Bohemio shirt...the Republika Shirt. 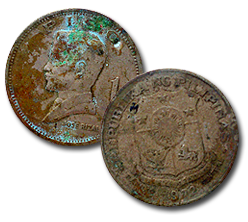 If you were born in the 70's you probably have used this one-peso coin to buy many things. 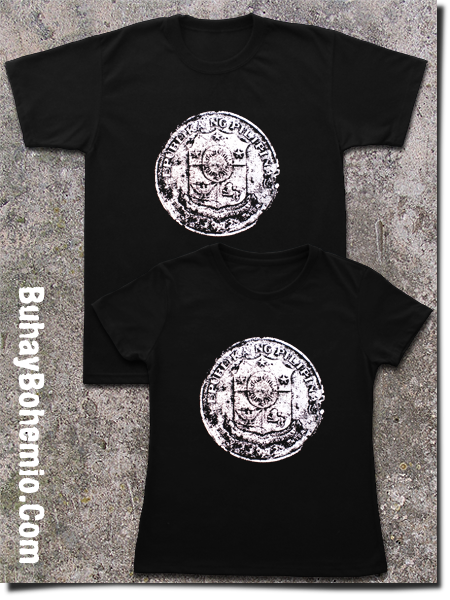 The Philippine Republic coat-of-arms at the back of this old coin served as inspiration of this shirt. After the art appreciation at Mega Mall, the gang decided to just chill and chat somewhere for there rest of the night. A favorite coffee shop was the first thing we had in mind but we realized that it's too ordinary for this extra-ordinary day. 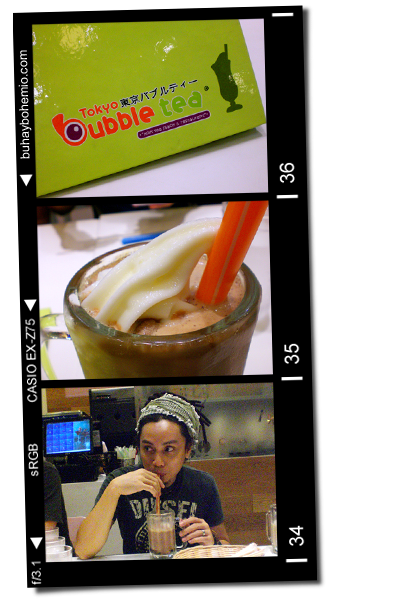 So we ended up at Tokyo Bubble Tea in Bonifacio Global City. It's my first time there. It's not just a place for milk tea but for Japanese cuisine as well. (I've never seen such big maki rolls!) Not all of us ordered dinner. Some of us are still processing what we ate at Tong Yang. It's no surprise however that some of us are eating machines hehe. I just ordered a large mug of mocha milk shake. Delicious! After our rather gluttonous activity, my friends and I decided to go strolling (to start burning calories), since we're already in Mega Mall. I suggested that we see the art at the 4th floor. 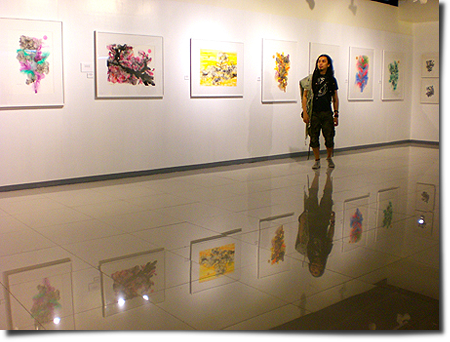 From a distance we saw colorful works set in white frames mounted on white walls. The beautiful contrast and the zen-like simplicity seem to have drawn us into the SM Art Center. 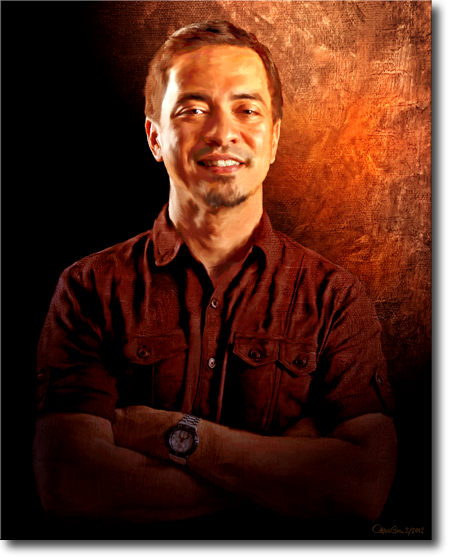 I am lucky to meet the artist and TV director Louie Ignacio who was placing the title cards when we came. 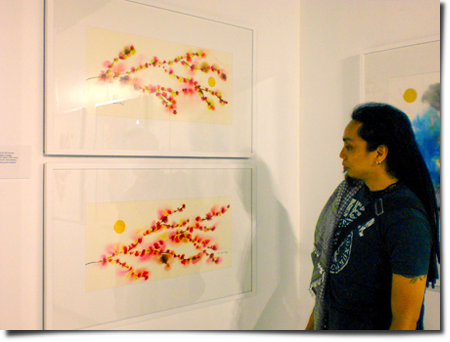 The exhibit entitled "In Full Bloom" (Floral Abstraction) will officially open on Monday and will run until March 4, 2012. The clean and colorful presentation of In Full Bloom. My favorite. A pair of cherry blossoms. I really love the oriental feel of this one. 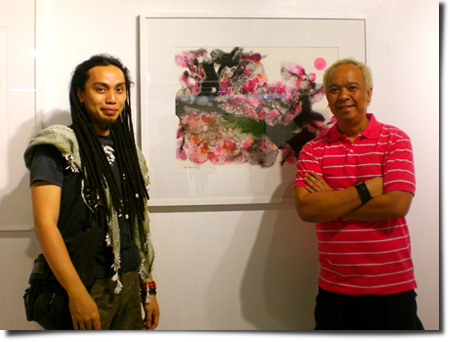 With the artist Louie Ignacio. A closer look. 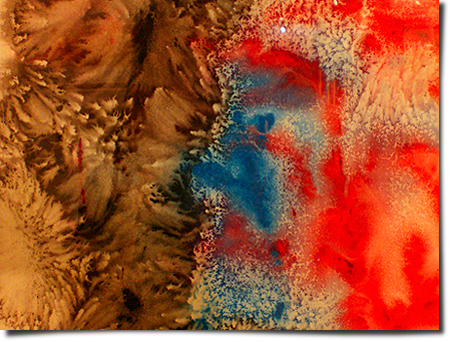 Interesting patterns formed by the artist's technique with watercolor. 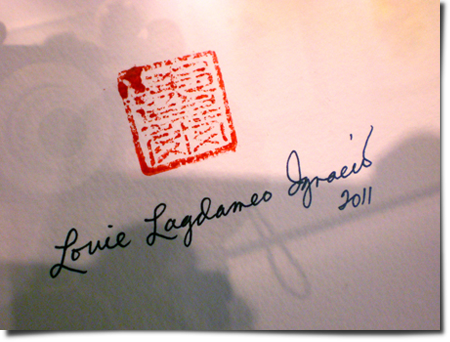 Last Saturday my friends invited me to join them in their appreciation of art - culinary art, that is. Yeah these people love to eat. 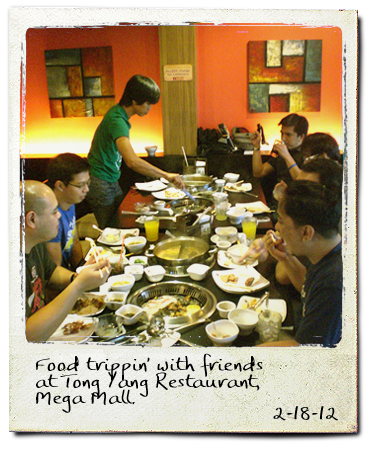 We went to Tong Yang at Mega Mall for a shabu shabu feast. You can enjoy all the food you want for Php 585 on weekends and holidays. 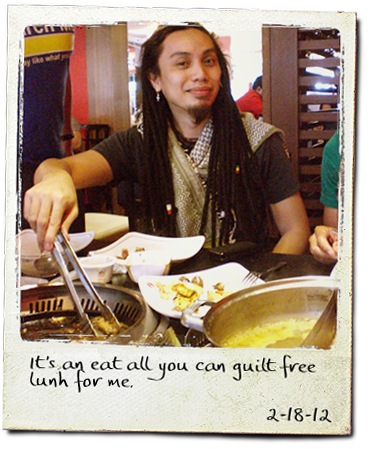 On weekdays, it's only Php 399 per head. It has been a while since I stuffed myself like this. Of course I tried to make healthy choices with the ingredients. No red meat or processed food (like sausages and que-kiam). Just fresh chicken, vegetables, fish and other seafood, like squid and a few shellfish. Also, I didn't use butter for frying. I love the look of grunge - its being stylishly shabby. The grunge look became popular in the mid 90's. I was graduating from college then. I listened to music by Nirvana, Stone Temple Pilots, Pearl Jam, Hole, and Smashing Pumpkins. 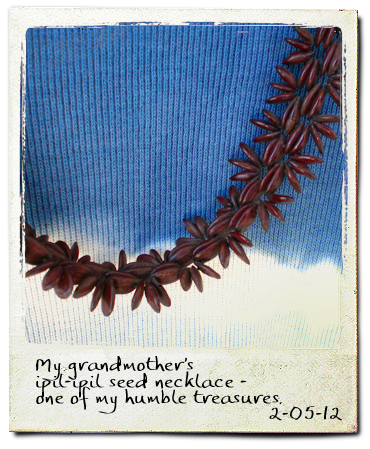 Before that time, I wouldn't want to be caught wearing old worn-out clothing and get really upset when I find a small hole in a favorite shirt. Now I see the beauty in tattered jeans, dirty sneakers, and faded shirts. 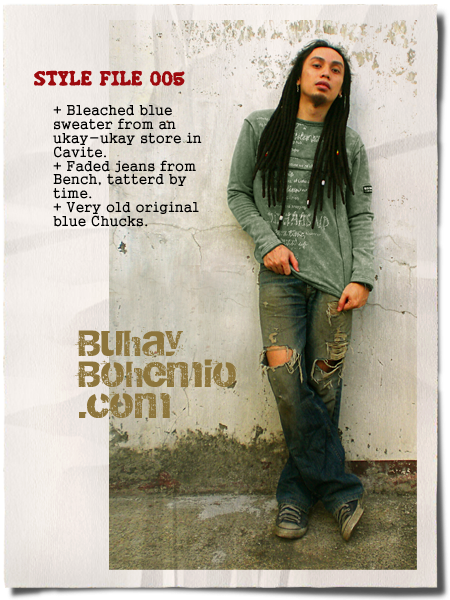 Grunge is surely one of the main styles sported by the bohemian man. Here's a favorite song by a great singer who passed away today. Her singing is laid-back here. No sustained high notes like most of her hit songs but I just love the beat and the lyrics of this one. You will find the words, "If I should die this very day, don't cry because on earth we are not meant to stay. And no matter what people say, I will waiting for you after judgement day." Rest in peace, Whitney Houston. 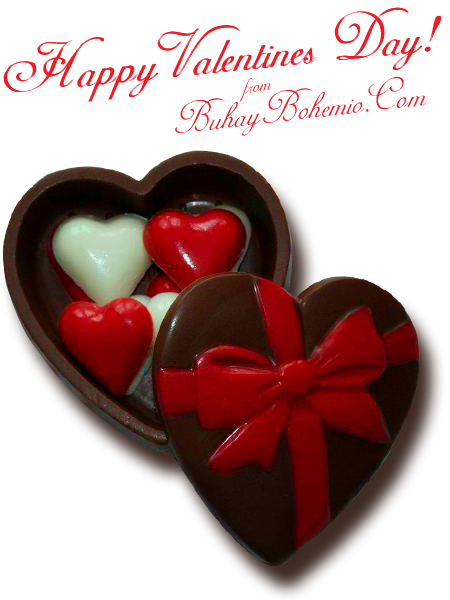 Since it's hearts month we came up with this design for the lover-bloggers. Cliche as it may be, it is said that the simplest of words are the most profound. Here's a another digital portrait. His name is Kelvin, my client's boyfriend. A framed print will be given to him as a Valentines gift. Click on the image for a larger view. 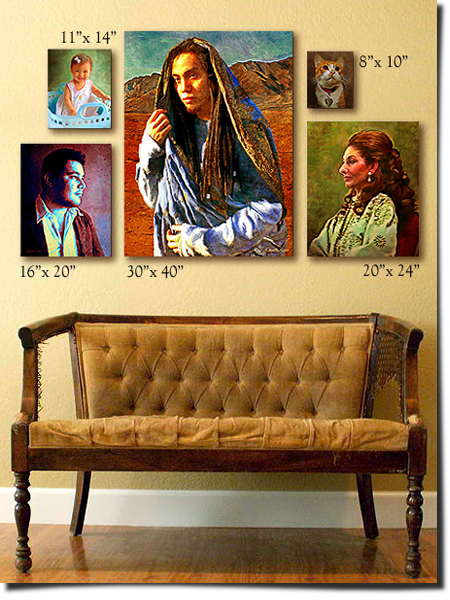 If you want to have your own painting-like portrait click here. A new favorite since the chocolate molten cake can't be found on their racks. At least this one is bit healthier by a few calories (I think - because it's not chocolate and it has yogurt hehe) I love the tangy flavor - certainly won't exhaust your taste buds with too much sweetness like some of their cakes do. 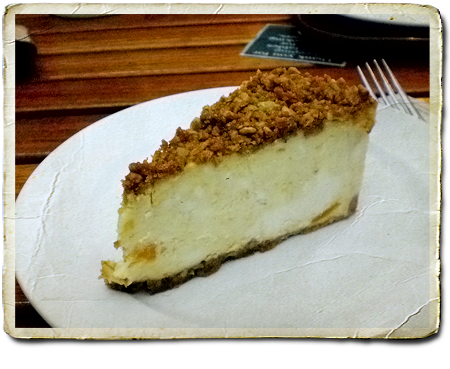 Php 110 a slice - not bad. I'm sure the question about the purpose of one's own life came across every grown-up person's mind. I remember praying that I find my life's purpose when I hit 30 just as Christ started his mission on earth at the same age. When I read these words by Viscott, I realized that my life's purpose actually has a lot to do with my gift. 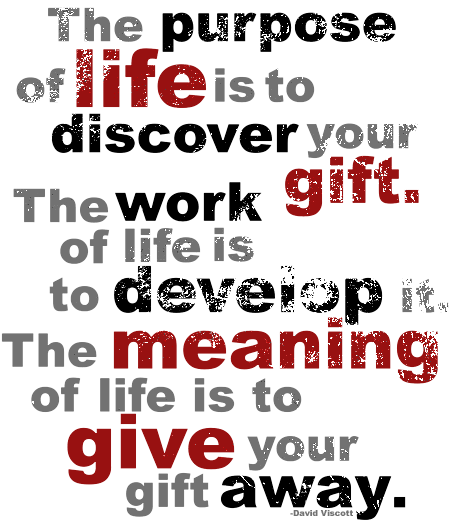 To an artist like me, talent is what pops in my head when speaking about "gift". So I know what my gifts are. I have chosen a few that I love the most. The work of my life is now in progress and little by little I'm beginning to understand my life's meaning. Another portrait. This one's of Cocoy - a friend turned client. ^_^ Thanks, man! His original photo was taken from a studio. Such photos are nice to work on because of the large image size and controlled lighting. I modified the lighting here. 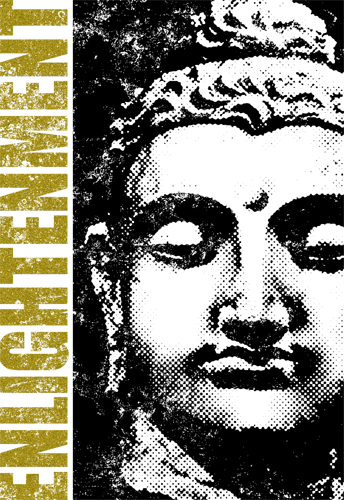 Originally, the lamp that was focused towards his left side lights his upper body. Because he wanted his painting in a Rembrandt style, I here. I really love this painting in water color, acrylic and oil by Italian artist Silvia Pelissero. I love the soft effect of water color but I hate using it. I simply have no patience with the medium. U have to wait for one color to dry before applying the next. And once you made an area too dark there's no making it light again. 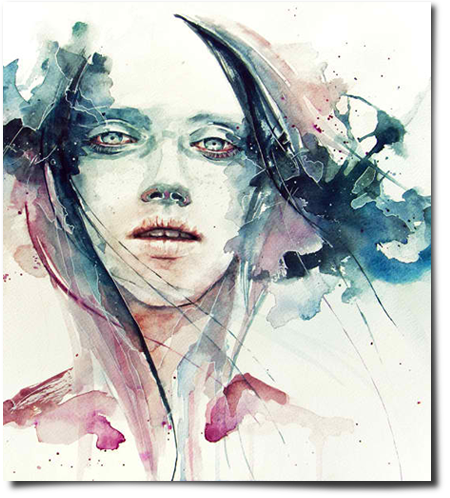 Anyways, check out more works by Silvia Pelissero aka Agnes-Cecile on deviantArt. I really love this 3 color dip-dyed shirt that my aunt sent me a decade ago. I love it because it's in a favorite color, and the fabric is stretchable and light. It still works even if it is over-sized. Somehow it gives a tropical, laid-back, hippie feel. The bonus part is that the shirt is actually a Calvin Klein. Dip-dyed shirts are fun, affordable and easy to make. It's definitely for the bohemian man ! Just like tie-dyed shirts and ombre shirts. You'll find many DIY videos on YouTube. I should try making one or two. I'm more of a Maria Callas fan than I am of opera. The first time I saw a video of her performance, singing the Habanera, I was drawn by her elegance and striking beauty. Even when she's just singing in a concert, one feels the emotion of the aria through her graceful gestures, facial expressions and her unique voice. And during her time, no other dramatic soprano sings like her. A 1962 performance in the Royal Opera House Covent Garden, London. Her voice has always been controversial. It wasn't the best voice according to conventional standards. In an interview, she herself said that she didn't like her own voice. One will either hate it or love it. Yet many would rather see her perform with her great imperfect voice than to watch another soprano with a polished voice but with not so perfect looks and acting skills. To her fans, she's got it all - the voice, the beauty, the dramatic talent. That is why people kept watching her. They watch her even when she's not on stage because her entire life was full of drama. It was as controversial as her voice. Diva is Italian for goddess. The title is originally given ONLY to women with outstanding talent in the world of opera. She was indeed a true diva. 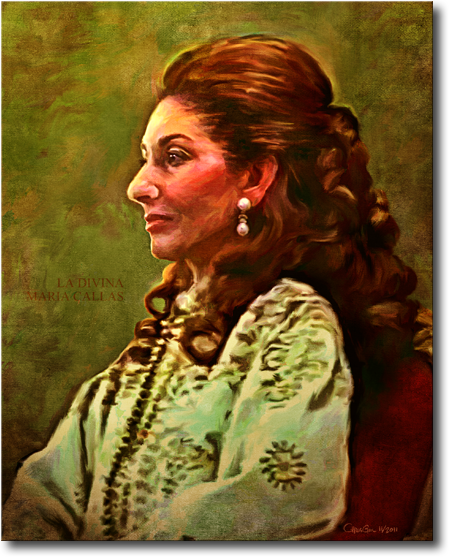 This is my tribute to one of my idols, the legendary soprano, voice of the century, La Divina Maria Callas. Taken from the video of her interview with Mike Wallace in 1973. She was 50 years old at that time. Her magnetism still captivates people today, thirty five years after her death. My business partner and friend Fitz posted, about a week ago, a very interesting topic in his blog ReadyToBeRich.Com. He shared 7 steps on how one can find the job of his dreams. The illustration below shows the three main things that define our dream job. Who wouldn't want a job that doesn't feel like work? It only feels that way when you are doing something that you really love. Bohemians are usually satisfied with doing what they love (which is usually something they are good at). And as a result, they are often broke. That's were the voluntary poverty aspect of bohemianism comes in. The creative things that we love to do usually doesn't pay well unless we have become mainstream like popular actors, musicians, designers, etc. I remember when I used to work as a designer. Designing is something I believe I am good at but I had no passion for what I was designing then. Because I worked for somebody else, my own style preferences has to be set aside, naturally, to satisfy the boss and his clients. So before, I was only doing something I'm good at and was paid fairly enough for it. Yes, I did get bored. I also had a different job once where I felt rich but completely unfulfilled. But now, I'm doing what I love and have become good at it. I am happy but poor. Or should I say, I am happy but not yet rich? I'm working on it. Thanks to Fitz's blog post I am more determined to turn my passion into my dream job. I'm now at step 4, learning how to do step 5. Read about those steps here.